Recommendations where necessary to make your day a stunning life event! Click on the consultation button below to book a consultation to discuss the vision of your special day. I'm excited to speak with you both! I will not publish, share, or sell your email address in any way. Anything else you’d like to tell me before our consultation? Thank you for your inquiry – I’m super excited to connect with you! Please give me a few minutes to review your inquiry and I'll get back to you shortly. If it’s during business hours (EST), I’ll get back to you the same day. If it’s after business hours, I’ll get back to you the next day. 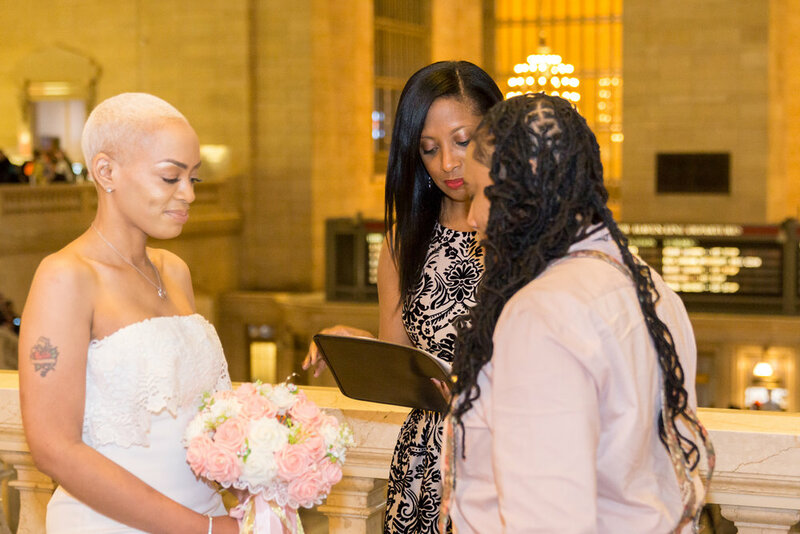 In the meantime, feel free to check out my FAQ and Paperwork pages on my website to learn about some frequently asked questions and the paperwork portion of your big day. I look forward to connecting with you both!